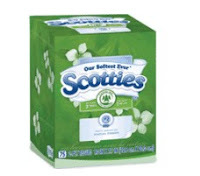 Scotties Tissues only $0.80 each w/ Coupon! You can get a good deal on Scotties Tissues at Walmart with this new printable coupon! = $0.80 each wyb 5! Remember, you can print 2 per computer! Use now or save for a sale!